The Hide-a-mic DPA set is designed for the DPA 4060/4061/4062/4063/4071 series. The set contains 4 different holders with each its own use. Shirt-holder, Bra-holder, T-shirt-holder and Tie-holder. 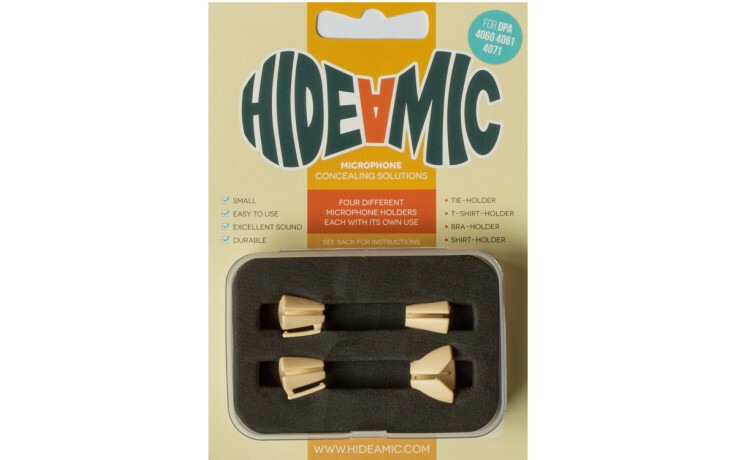 With this set you can hide your DPA lavalier mics quick, discreet and without any clothing noise.